NATICK, MA, February 2, 2010 — Music Mix Mobile, a New Jersey/California-based remote facilities company combining the talents of award-winning production professionals and state-of-the-art audio solutions, is a collective consisting of industry veterans John Harris, Jay Vicari, Joel Singer, Mitch Maketansky and newly added West Coast-based partners Bob Wartinbee and Mark Linett. On Sunday, January 31, 2010, Music Mix Mobile was commissioned to capture and mix the music audio for the 52nd annual GRAMMY® Awards, broadcast live in 5.1 on CBS-TV from the Staples Center in Los Angeles. 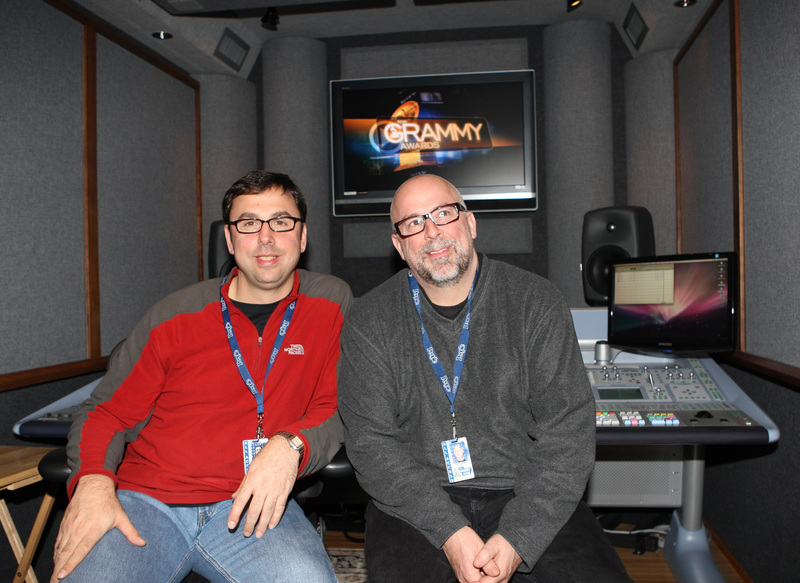 In the company’s dual M3 trucks (now known as “M3” and “M3 West”), the GRAMMY Award Show Broadcast Music Mixers John Harris and Eric Schilling, along with Music Mix Mobile Engineer-in-Charge Joel Singer, were on site to ensure the audio would be of the highest quality, and they chose Genelec 8200 Series Active DSP Monitoring Systems. Genelec DSP systems consisting of 8250A Bi-Amplified Active DSP Monitors (in an L-C-R array) and 8240A Bi-Amplified Active DSP Monitors (L-R rear), along with 7260A Active DSP Subwoofers, were used in Music Mix Mobile’s M3 truck for the live music mix, as well as in the identical mirrored system in the M3 West offline remix truck. In the days leading up to the awards ceremony and broadcast, the night’s performers rehearsed their segments live on the stage, with Schilling and Harris developing the mixes in real-time in the M3 truck and then going over those performances offline while playing them back for artist managers and the artists themselves in the new M3 West truck. Together, they prepared for the live broadcast mix, so it was vital that both M3 trucks had a world-class, consistent monitoring environment.